The NineHertz has evolved as among the top Android app development company in India. We are working professionals in the IT domain, creating visually attractive and high-quality android apps for our global clients. Businesses can leverage the benefits of our unique services that are oriented towards providing customized solutions for your project idea. If your company is thinking of developing a new app or looking for migrating the old app to the Android ecosystem, then we are a perfect choice. Hire dedicated Android app developer to visualize your project idea and recreate your idea into reality. You can hire our Android app developers on a contract basis (part-time or full-time). Our Android app developers are skilled with native and hybrid programming languages. Creating app development solutions for varied industry verticals including Media, Entertainment, Real Estate, Medical, etc. We create perfect harmony between the latest trends and business needs, thus, deliver the best result for our clients. Hire Android App Developer India and get your hands on best tech savvies in the IT domain who are skilled to create cost-effective solutions. Our Android app programmers build your brand name and enhance sales straight to 100% peak. It’s time to stop your search. Get a customized Android app for your business needs. Get every feature of Android app development	that makes your app stands out in the market and adds value to your business. With an experience of over a decade in designing and developing prominent Android applications, we cater to the need of the businesses. 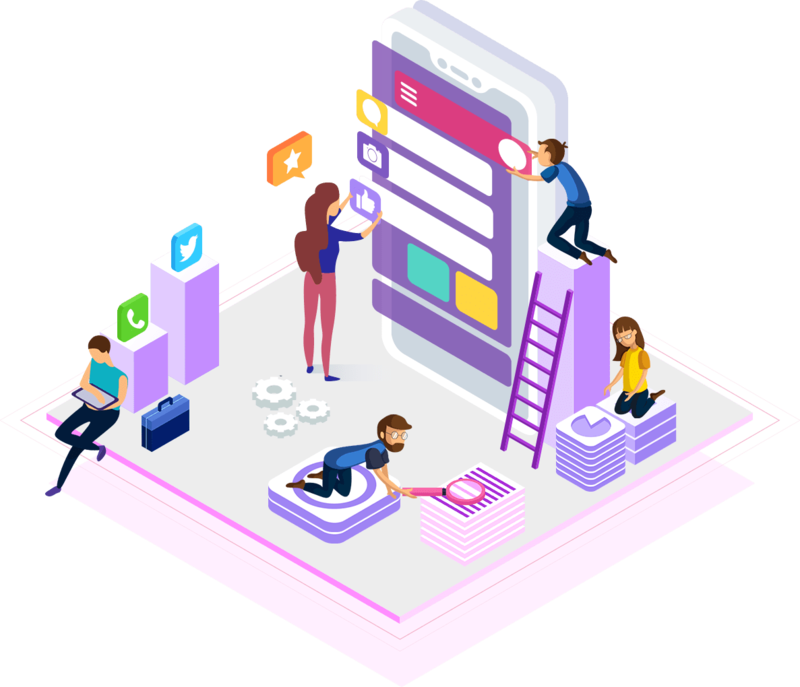 Hire Android app developer India team to get an extra edge to the trendy features of applications that will be the driving point for your business. Hire Android application developer to develop a diverse range of exclusive applications. We offer 100% client satisfaction by maintaining high-quality and on-time delivery. Our strategic executive team follows meticulous steps to incorporate minute details in the prototype to ease the development process. We have a team of 100+ Android developer professionals’ working all day long to bring justice to our clients’ projects. In The NineHertz we assign a dedicated team to our clients that solely work on their project and enhance enhancing the quality and fineness of the outcome. Hire Android Developer India Team to escalate your Business Growth! Take the advantage of Android app programmers for hire by opting them to work at your development center at the handsome cost. We are flexible enough to work at your work station. Hire Android programmer in our workstation. We’ll keep the hired developers in the circuit of communication at the time of reporting. Mix and match of the onsite and offsite model, in order to achieve the desired goals. Hire Android app developer and a team of executives who are ready to work from both the ends.